This session took place on August 3rd. director @joinstationf. member @eu_eic. board @afp. ex @microsoft @techcrunch @cnnum. cofounder @tech_eu @starther_org & @failcon paris. epilepsy advocate. Founder @bloomingfoundrs. Publisher of #DearFemaleFounder book. Ambassador @WED_UK. Ex @McKinsey @ProcterGamble. Cheerleader for #FemaleFounders. Business Accelerator to promote and strengthen female entrepreneurs, executives and investors. Innovation Summit. 1 million Euro fund. Join now! The state of women-led startups in Europe has never seemed more open — but in many ways, it's as dire as ever. A recent survey led by Women Who Tech found that 58 percent of women founders across Europe had experienced some form of harassment. This number increases to 75 percent for women of color. Suki Fuller is an analytical storyteller, and has been globally recognized by Forbes as a strategic advisor for her work with fundraising startups, and as a speaker and mentor. She is the co-founder & CEO of Salaam Ventures, founder of strategic and competitive intelligence company Miribure, and the Head of International Strategic Projects for DC Analytics. Rixt Herklots is the Program Manager at TheNextWomen, a business accelerator based in Amsterdam that connects female founders with investors, allowing them access to knowledge, capital, and a network. 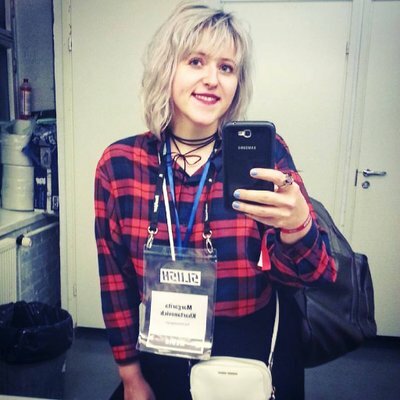 Margarita is a business and technology writer and PhD Candidate in journalism at the University of Tampere. In her current role as Editor-in-Chief and visionary of Binary District Journal, she is on a mission to spotlight the brains behind innovative technologies including blockchain, cybersecurity, AI, IoT, Big Data, Biotech, and more. Lu Li is the founder of Blooming Founders, a London-based business social network for early stage female entrepreneurs. Li believes in a holistic approach to the business building experience, and Blooming Founders offers a complete ecosystem of services to help female founders get ahead. Verónica Orvalho is self-proclaimed optimist engineer. As the founder and CEO of Didimo, a company that can create a digital version of a person from a single photo, Orvalho is fascinated by the many ways in which people communicate, learn, and share knowledge. Roxanne Varza is currently the director of Station F, the world's biggest startup campus. Based in Paris, Varza is also a member of the European Innovation Council (EIC) and sits on the board of Agence France Presse (AFP).